We would like to invite you to Dar-Mar. The meeting will take place in the form of a fair. You will be able to see the products of the exhibitors and talk to representatives of the companies about cooperation and authorization. We invite all to visit us during fair – PSSK. .
During the meeting will be held trainings, company presentations and car key coding demonstrations. 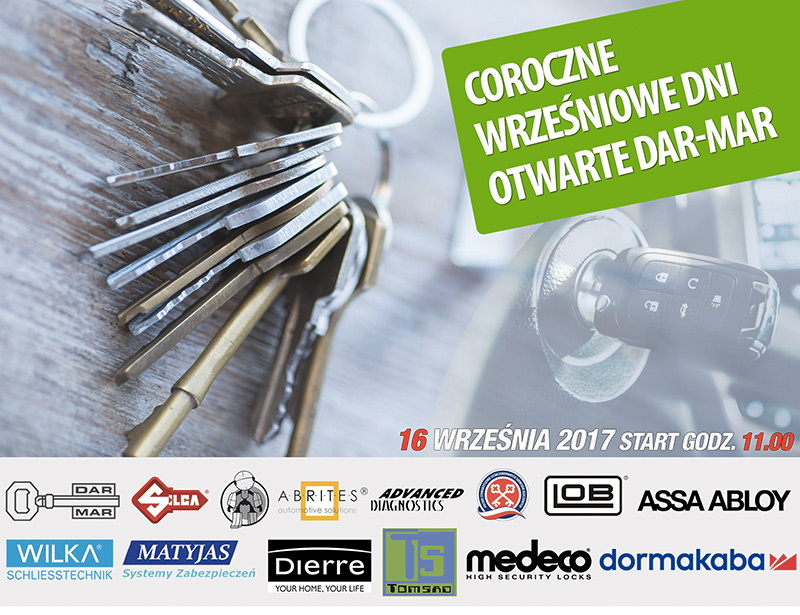 We invite you to the General Meeting of PSSK members to be held on June 24, 2017 at 10:30 in Kobyłka.